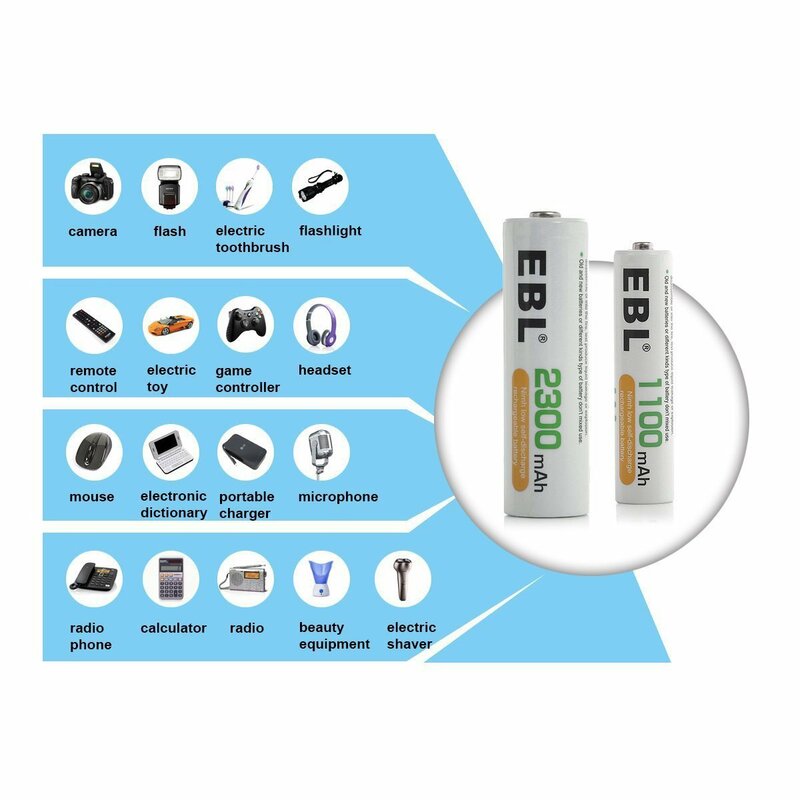 Pacakge contains EBL AA Ni-MH 1.2V 2300mAh rechargeable batteries (4 Counts) and a 40min iQuick Smart USB rechargeable battery charger. 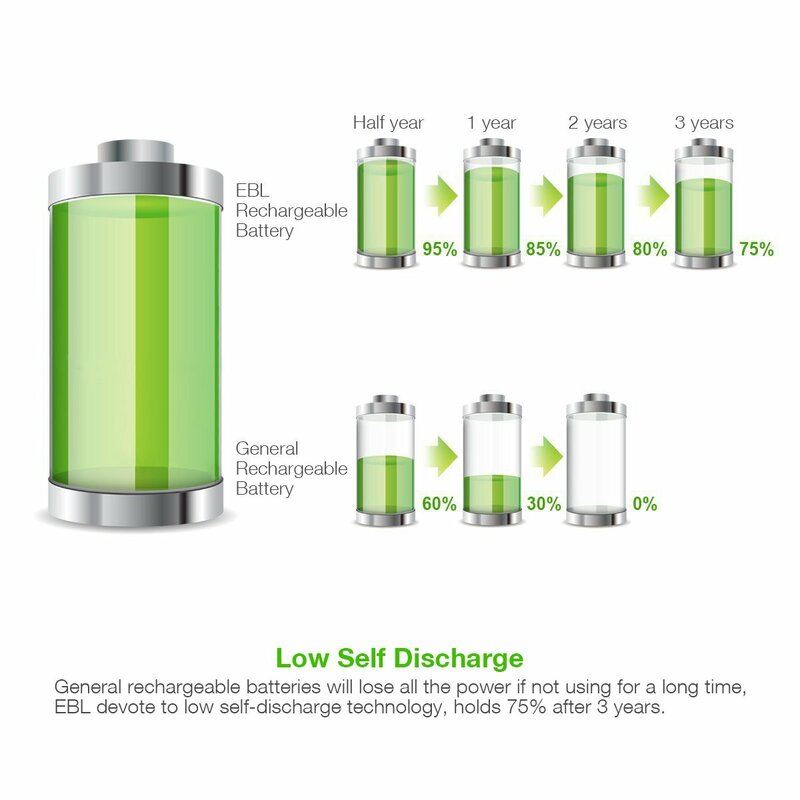 The low self-discharge batteries still keep 85% of capacity after being stored for 1 year. 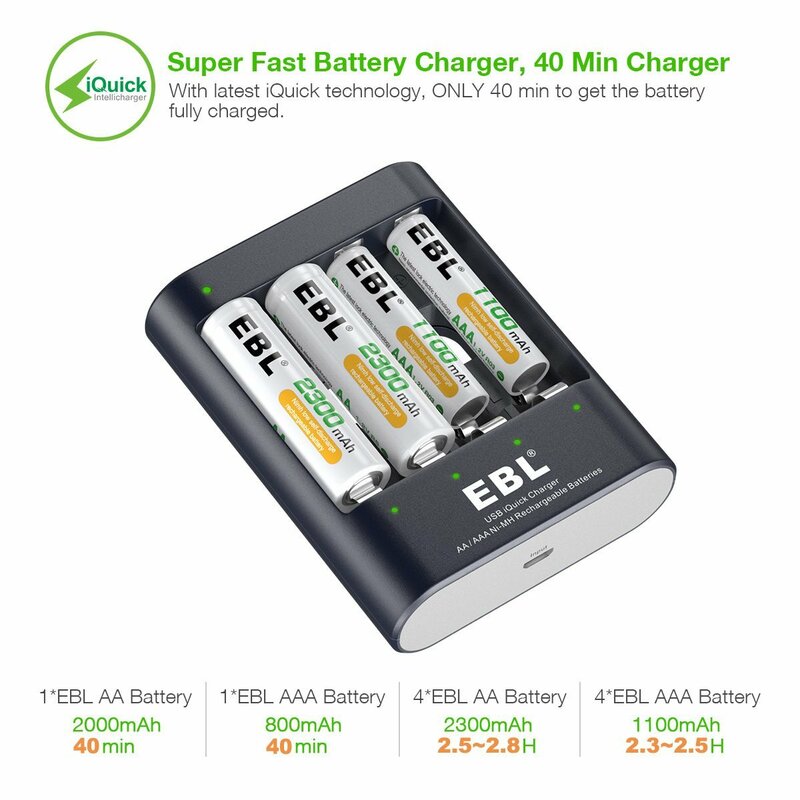 Fast Charging Technology: This 40min iQuick charging speed enables you to charge 4-pack rechargeable batteries fully within 2.5 hours, saving your time greatly. 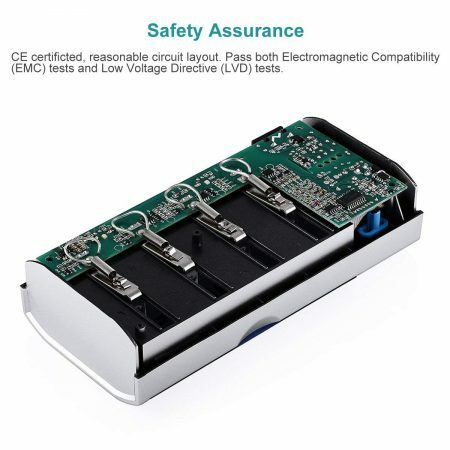 Advanced MCU Control System: Using intelligent △V and -△V cut-off charging method, the automatically trickle charging mode, the battery charger prevents over-voltage, over-current and over-heating issues. Smart LED Lights: The small LED indicators show the charging process, RED means charging, GREEN means charge is finished. 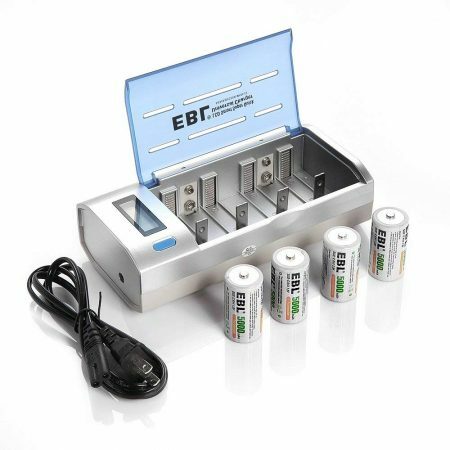 This EBL-U421 rechargeable battery charger can charge 1/2/3/4 AA AAA Ni-MH Rechargeable Batteries. 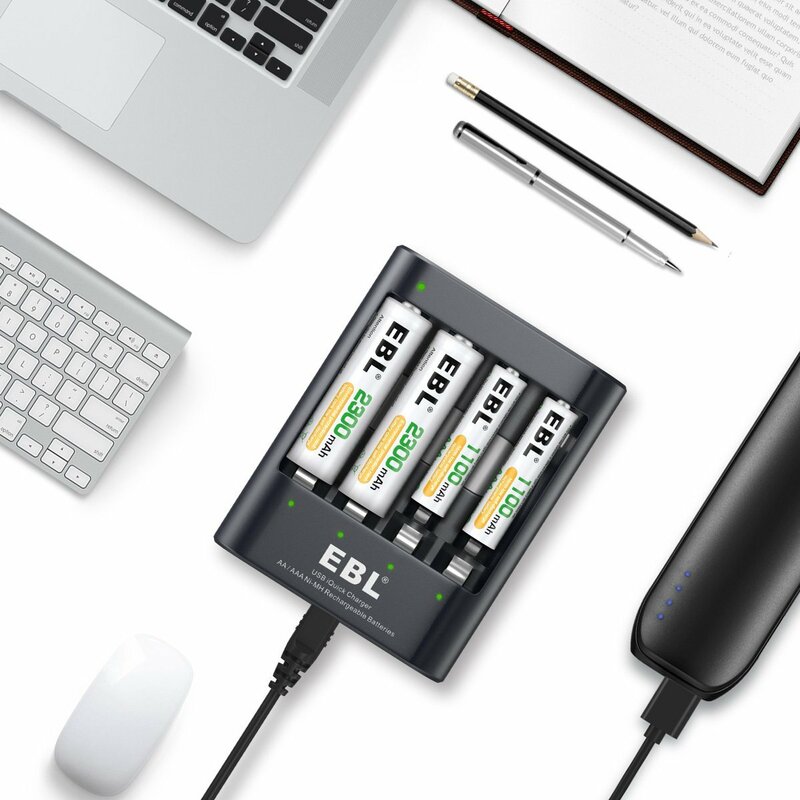 This mini-sized portable battery charger is a great choice for travel. 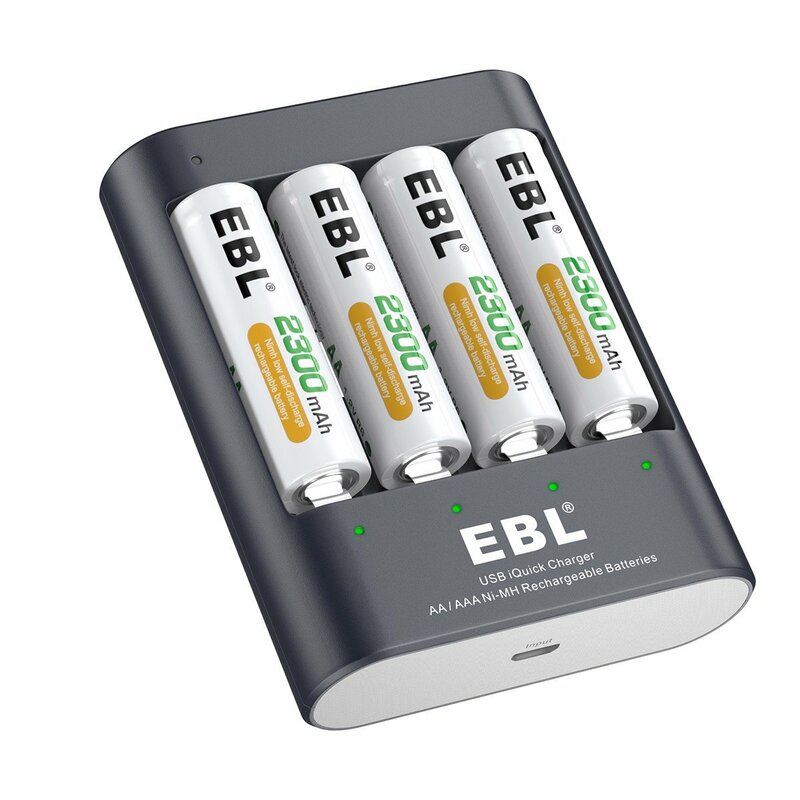 It requires no AC adapter or AC socket when charging rechargeable batteries. 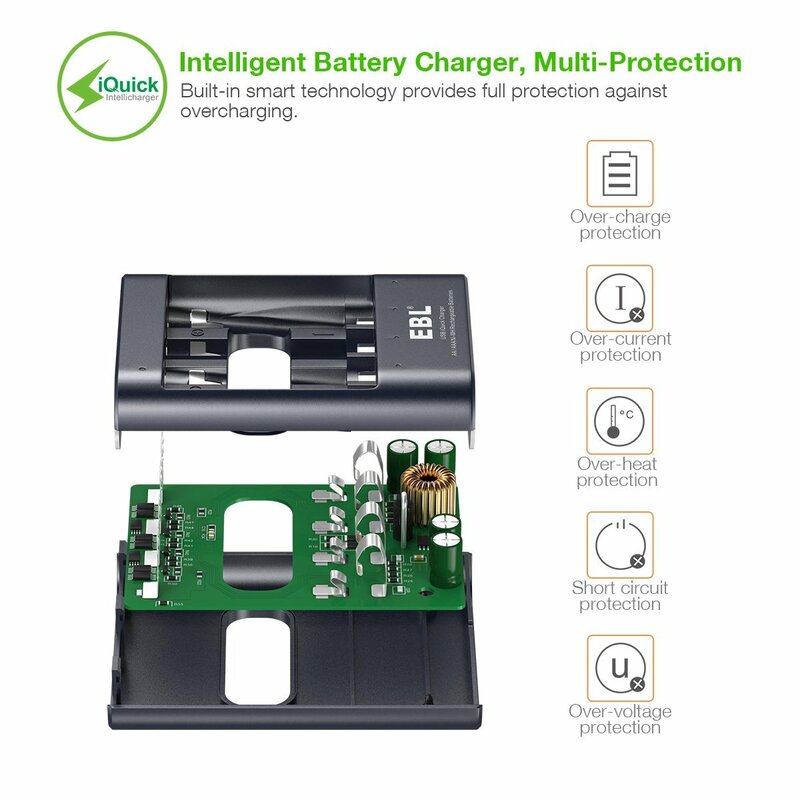 The charger has a unique USB port that’s widely compatible with all 5V USB-enabled devices, like power bank, adapter, solar charger etc. 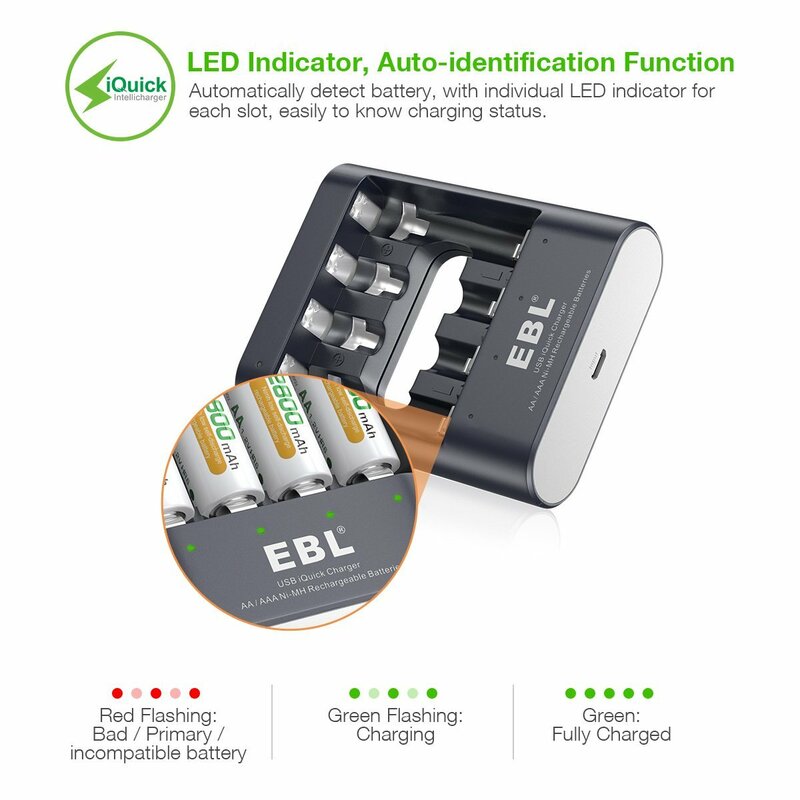 The charger is built with smart LED indicators to show charging process, red lights means charging, green lights means batteries are fully charged. 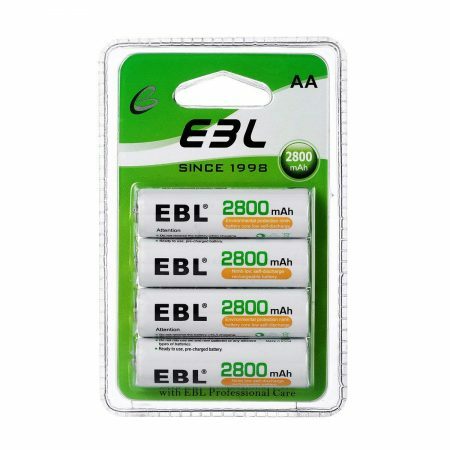 These rechargeable AA batteries feature 2300mAh, 1.2 volts and super low self discharge. 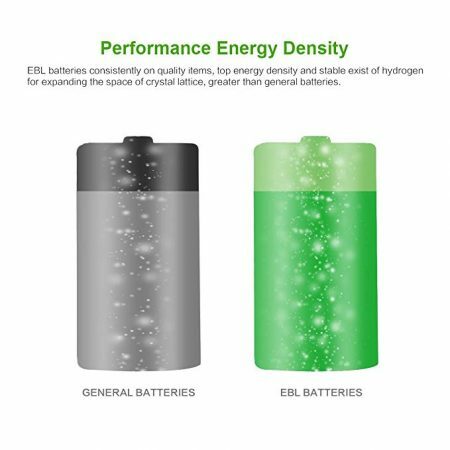 The low self discharge function enables the batteries to keep 85% of capacity after being stored for 1 year. The batteries are precharged for 15%~20% of capacity by solar energy. They can be used immediately when they reach you. 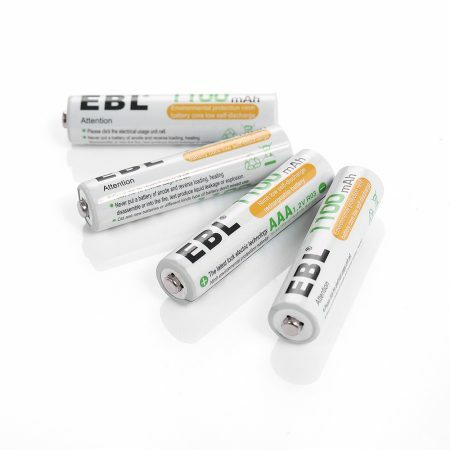 These environmentally-friendly rechargeable batteries have no Hg/Cd/Pb. 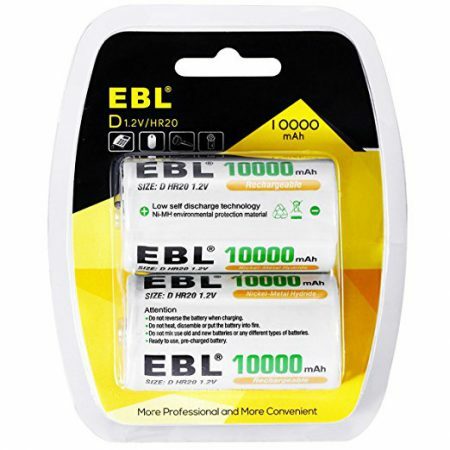 They will keep high quality after 3 to 5 times’ charge and discharge.